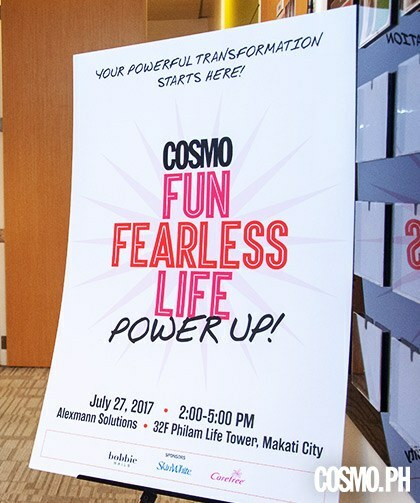 In 2015, Cosmopolitan Philippines started Fun Fearless Life to inspire and empower Cosmo Pinays. 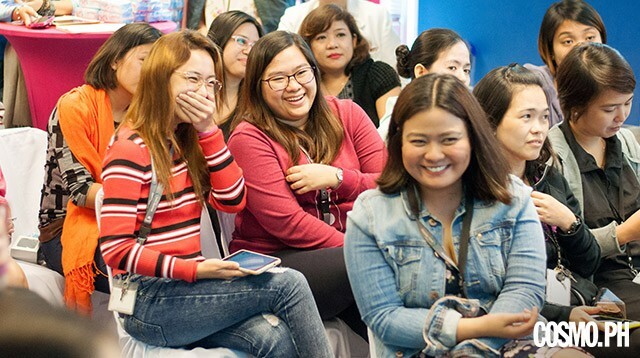 The first ever FFL event was in BGC; the next one was in Cebu. In 2017, we decided to make FFL a little more intimate, which is why we took it to the metro's offices via a three-part tour. We visited the offices of Alexmann Solutions (July 27), Fort Bonifacio Development Corporation (August 3), and AON Insurance (August 4). 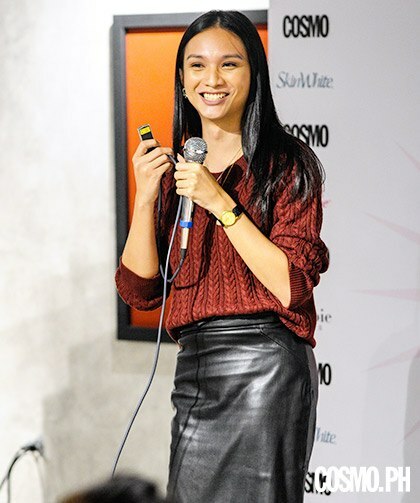 We invited Cosmopolitan contributor and makeup artist Archie Tolentino and celebrity stylist Em Millan to share their insider secrets and help our readers power up for their next big career move. 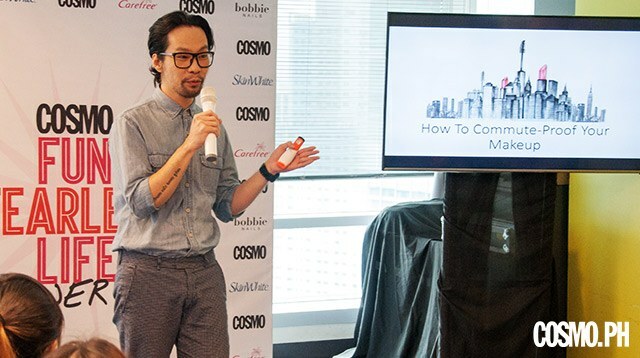 Archie shared tips on how to commute-proof your makeup so you still look fresh and ready to slay by the time you get to the office. He also stressed the importance of taking care of your skin as a foundation of an excellent makeup routine—so make sure to always use sunscreen even if you're indoors! And depending on your work environment, don't be afraid to sport a classic red lippie—especially if you need a confidence boost before a major meeting or presentation. To complete your office look, Em taught our girls essential power dressing basics as well as pointers on how to put together day-to-night wardrobes. One thing to remember is that you don't have to limit yourself to an all-black outfit to feel confident and powerful. 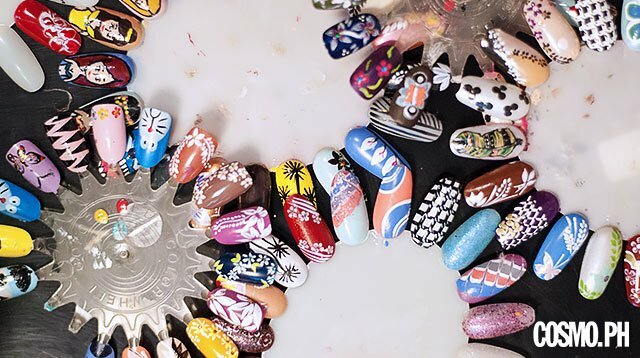 Everyone thinks black is a safe color; it hides all of your body insecurities, but there's a way to use colors to your advantage! You just have to make sure your clothes fit right. 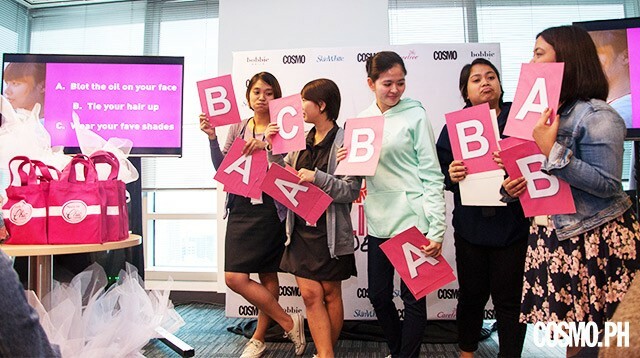 Before the event, Cosmo girls got to visit booths by our co-presenters Bobbie Nails, Skin White, and Carefree.